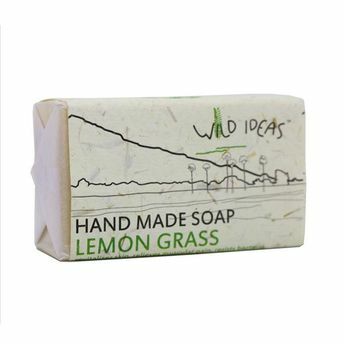 Wild Ideas Hand Made Soap Lemongrass is handmade from select natural ingredients using traditional recipes and methods. It revitalizes skin, relieves muscular pain, and resists bacteria. Its refreshing fragrance will lighten up your day and keep you feeling fresh all day long. This gentle soap cleanses skin without ripping off its natural oils.